If you're having issues with your Paypal account, check out some of our resources that can answer your questions. My cash rewards have not been sent to my Paypal account. My cashout screen says "Requested" or "Denied." I put in the wrong email for my Paypal. How can I fix it? How much money do I need to have to cash out? I haven't gotten my rewards yet.  Hytch Rewards that are redeemed for cash are distributed through PayPal once a day, which means your cash won't always be posted at the same moment you hit "Cash Out". This process allows us to reduce the risk of payout issues for our users. It will show up as "Requested" on your cashout screen in the Hytch Rewards app. You may also want to check your SPAM folder in your email to see if a notification email has been sent there on accident. If your cashout screen says "Requested" it means we're processing the request and will be sending payment to your Paypal in the next 24-36 hours. If your cashout screen says "Denied" it means you've likely put in the wrong email when you were cashing out. It's also possible you see "Denied" on your cashout screen because do not have an active Paypal Account. To set up a PayPal account, visit www.paypal.com. How much money do I need to cash out my rewards? You tried to transfer the money, but the app gave an error message because the amount was below $10. I sent my cash rewards to the wrong Paypal. You did not receive your Hytch rewards cash because the email address you entered on the “Cash Out” screen was not the email address you use for PayPal. If the email address you initially used is not associated with your PayPal account or you are new to PayPal you can associate the email with your PayPal, create a new PayPal account or wait 30 days for PayPal to release the funds and you can initiate a new transfer. If you don't need help with Paypal, click here to go back to our Main Support page. If you still need assistance with Paypal, fill out our form below. I put in the wrong email when I was cashing out.My Paypal request is showing as “Requested” or “Denied.”I don’t know how to cash out my Hytch Rewards.I don’t have a PayPal account.I have a different issue with Paypal.